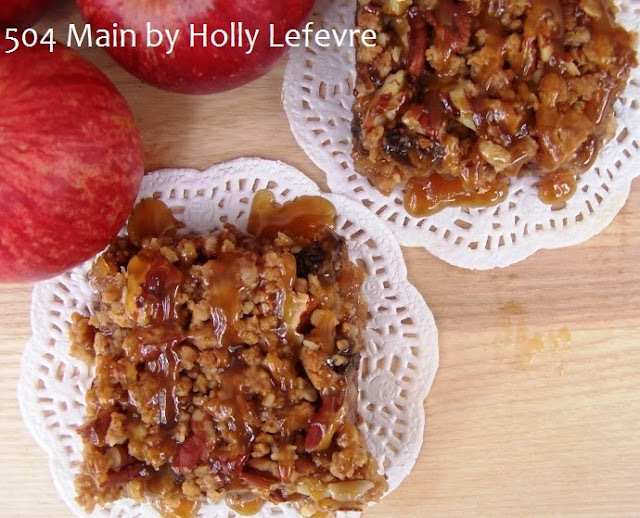 This Apple and Oatmeal Cookie Fall dessert is brought to you by Collective Bias® Social Fabric® Community and Smart and Final. 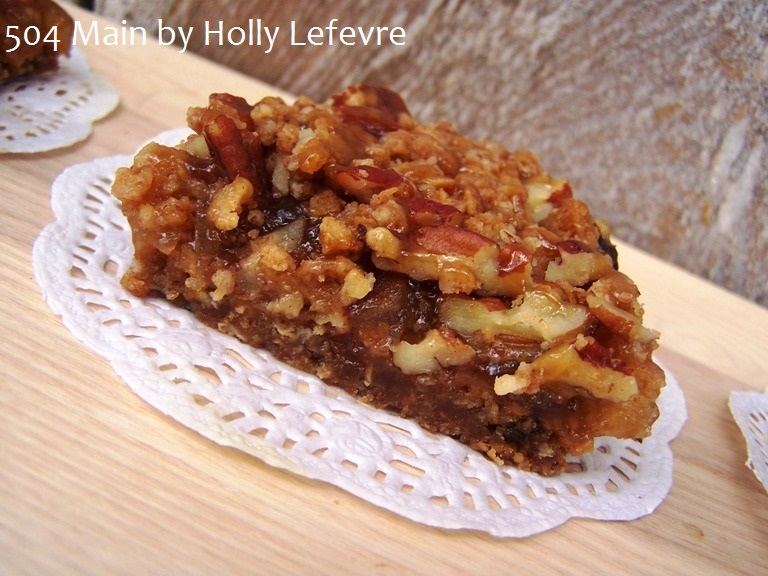 Yes, Fall makes me want to bake...and bake...and bake. Sometimes there is too much happening in my life to bake a treat completely from scratch, but yet I still want to make something with that special homemade feel. 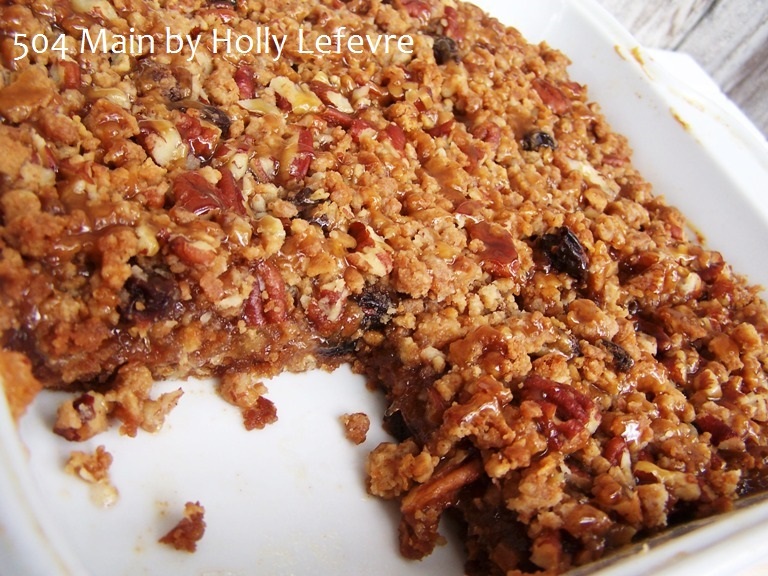 For that reason, I challenged myself to create a go-to Fall dessert that was totally yummy, but also super easy to make. 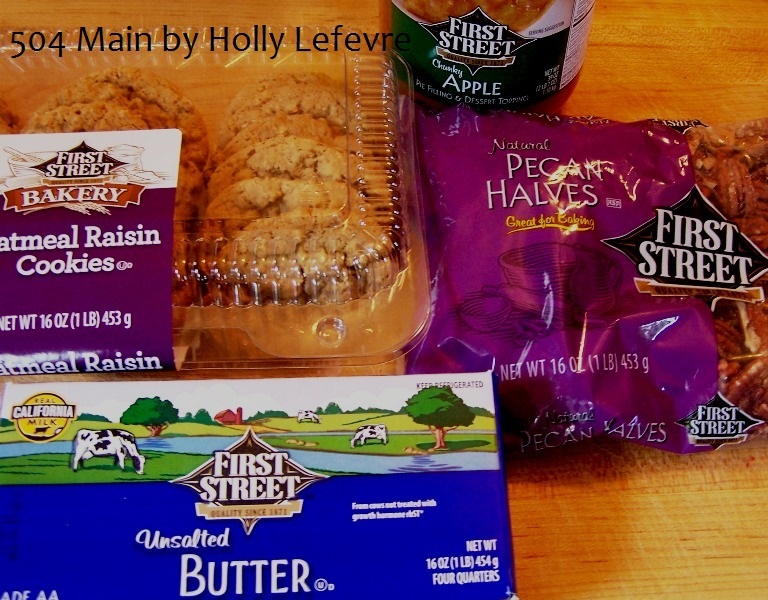 I purchased First Street Bakery Oatmeal Raisin Cookies, one of Smart and Final's pre-made bakery items! I have made dessert with cookie crusts before...but man oh man it takes time. By using the First Street Bakery Oatmeal Raisin Cookies, I was able to skip quite a few steps, and save on time and ingredients! I had an idea of what I wanted to make before I headed to the store, but got a little excited seeing all of the options at Smart and Final - you can get a glimpse of all they have to offer in my Google+ album. I look for shortcuts in my baking and cooking where I can...but I never compromise on quality or taste and with Smart and Final, I get exceptional quality, variety, and taste! 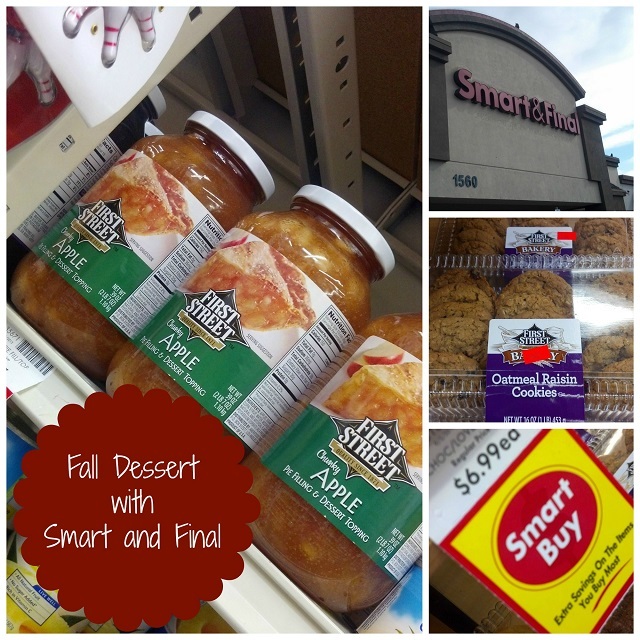 I am a huge fan of Smart and Final and have always found their pre-made bakery items to be delicious. 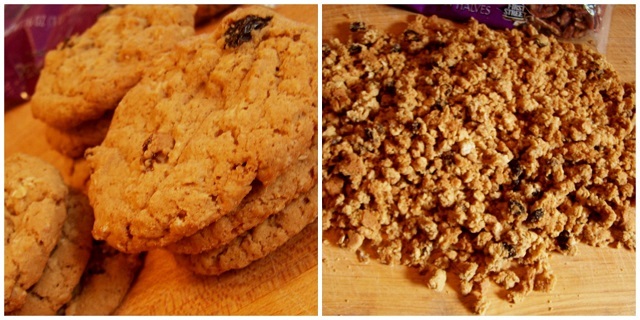 Add the melted butter to the flour/cookie crumble mix. Place mixture in a 9" x 9 "baking dish and press down to compact. Spread 1- 1/1/4 cups First Street Apple Pie Filling on top of the oatmeal cookie crust. Sprinkle cinnamon on top of the apple pie filling. Bake for another 20 minutes at 375F. Cut into 2 1/2" squares. Drizzle with Caramel Sauce (if you dare!) or serve it up with some vanilla ice cream! 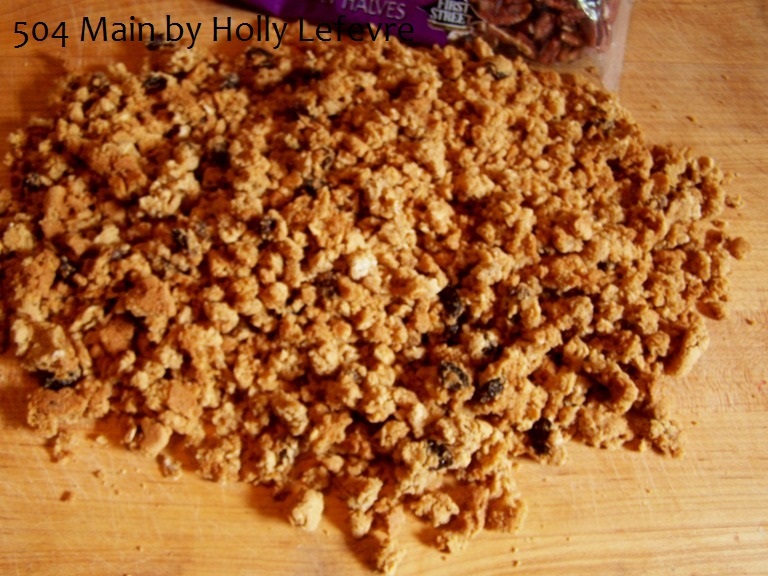 Crumbled the remaining 6 First Street Oatmeal Raisin Cookies and mix them with 1/4 cup all purpose flour, an 1/2 cup chopped pecans. Melt 2 Tablespoons of First Street butter. Add the melted butter to the cookie mixture. Finish recipe, return to #12 above. 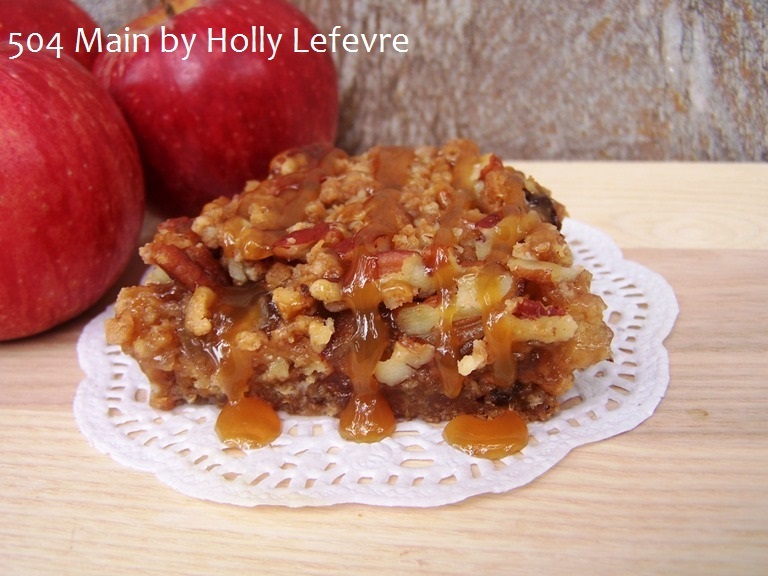 In less than an hour you will have a scrumptious, apple pie inspired Fall dessert with the unexpected and totally addictive addition of an Oatmeal Cookie Crust! This post is written and created at 504 Main by Holly Lefevre I am a member of the Collective Bias® Social Fabric® Community. This shop has been compensated as part of a social shopper insights study for Collective Bias and their client. Oh wow Holly, this pie looks amazing, wish I had a piece...and yet soo easy to make! Although First Street Brand things aren't around here, I will make it with the same products in different brands, lol! Thanks for the récipe and have a great week ahead. I am not an apple fan, but hubby is, and I think he would love this! I'll make this for him this week so he's got something to enjoy! Oh my goodness, yum! And that giant jar of Apple Pie filling! OHHHH MY! Thanks for sharing, I'll definitely be trying this recipe!